Most of us would connect Prague with Czech beer and heavy food. During nighties and noughties Prague was rather a desert in light of any variety of restaurants. Some selected places, mostly connected to hotels, were worth to visit. However during the last five, six years there is a promising and exciting development. Without some good friends I would not have discovered more and more really interesting, good and remarkable restaurants or even inns of which I will report in future. 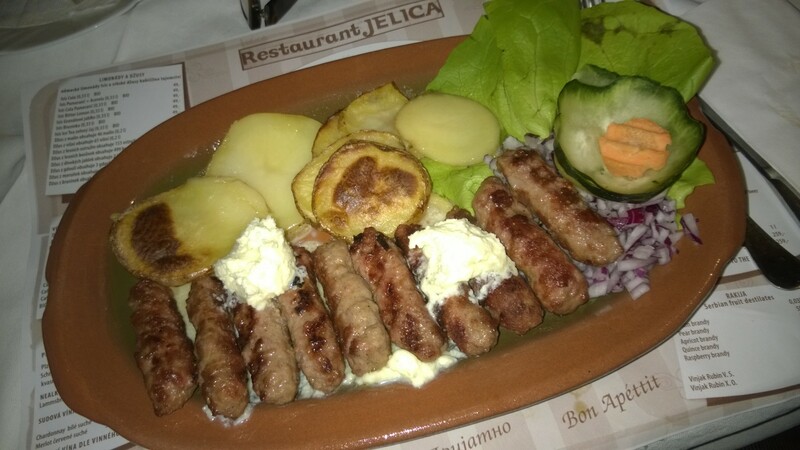 Maybe the strangest one but certainly recommendable and unique place in Prague is a Serbian restaurant called Jelica. 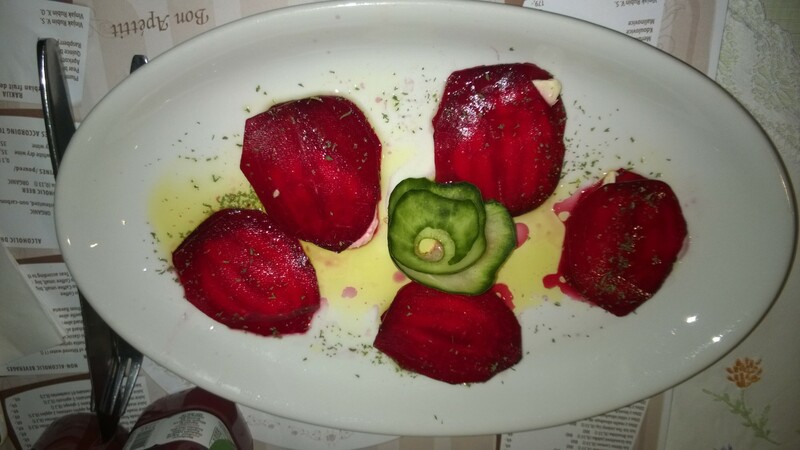 Aside of real Serbian dishes – a lot based on organic goods – you can also get vegetarian, vegan and raw food which is a statement of contrast considering how heavy of meat Serbian cuisine usually is. The restaurant is rather like a farm as you can choose among different rooms and a big back yard garden plus some separate open lodges. The main building has been always a gastronomic place, mostly for labors and the neighborhood but now turned into a room you see above. 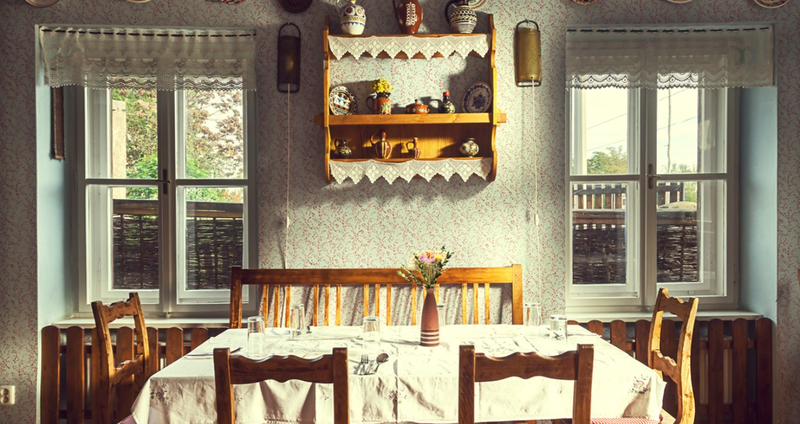 Two main rooms look like living rooms in a fantasy movie or fairy tale: they are lovely decorated with any kind of colorful plates, farmer’s items and other articles which could be of a dollhouse. Easy wooden floors, long tables just covered with linen blankets and some fresh flowers in the middle. As I visited the place during winter time you can imagine how free, fresh and light everything must be during summer. The disadvantage of visiting the place in winter – by the way – is that the rooms are heated by usual ovens! It isn’t place where you can ware only a T-Shirt in winter! Food itself is between decent, good and a single very good. Doubtless all ingredients are fresh and – as mentioned – carefully selected. Combinations are classic in regard to Serbian dishes, all raw or vegan dishes look even a bit more interesting or curious. 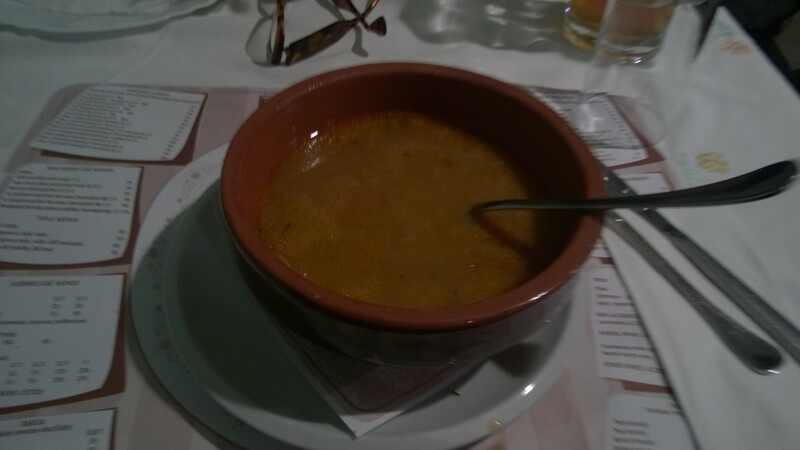 I had better Ćevapčići in Beograd but the one I got at Jelice was pretty nice, for sure very rich and almost too much. The best meal at this evening was the slow cooked / prepared beet-root dish. This said, the concept of the restaurant is promising as it is in the trend to offer vegetarian and even vegan food in a sourrounding you would not expect something like this. It offers food for the entire family in different taste direction. But the quality of cooking could be definitely better and I think it would not cost them too much efforts. Drinking wine in this restaurant is a limited experience. The selection of wines is very small and only Serbian wines are available. This could be something special indeed if you would discover something unique. My experience was rather fair (please read: https://avdwineandfood.wordpress.com/2015/03/26/milijan-jelic-chardonnay-2011/). Despite of the poor wine selecting there is an exquisite offer of organic lemonades, juices and beers which is great. The service is good and friendly. It is worth to visit. The atmosphere offers you a break, a trip into another hemisphere. 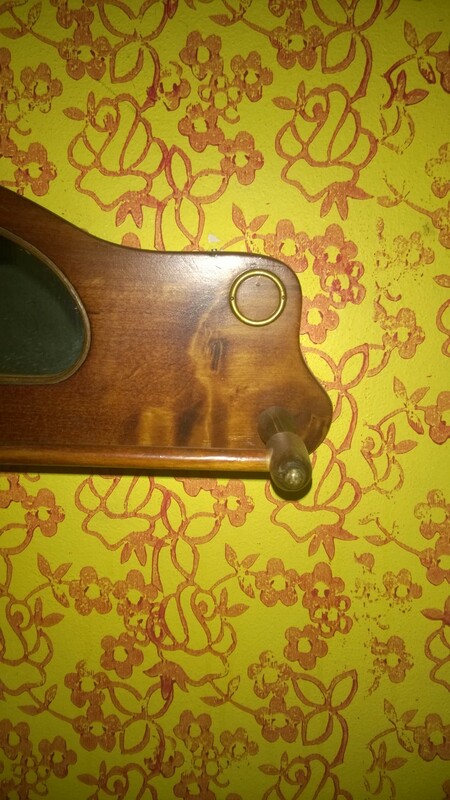 There are many nice little details, everything is done wholeheartedly!